Yoga, where alignment begins on the inside. Yoga is a tailored practice for all levels of expertise implementing gentle postures that are held for a longer interval which results in increased flexibility, decreased pain and stress. 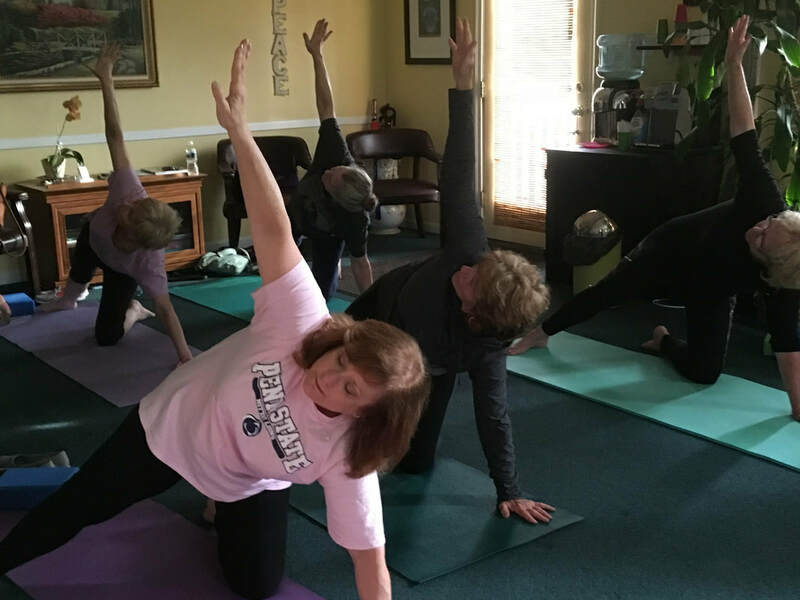 Our classes are gently guided and will tailor your postures into ones that are comfortable and address your physical state, discomfort, and or injuries. Yoga is perfect as an enhancement to a more structured exercise routine or for the beginner that is just testing the water. Yoga provides structural and organ system alignment. As scientist say, proper function follows aligned structure. Gentle stretching can and does result into active results including more relaxation. Bring your mat and if you do not have one we will provide one for you. So, there are no more excuses as to why you are not participating, you are worth what you put in.